Happy New Year, Bonne Année, Gott Nytt År, Buon Anno, С Новым Годом, Glückliches Neues Jahr…! 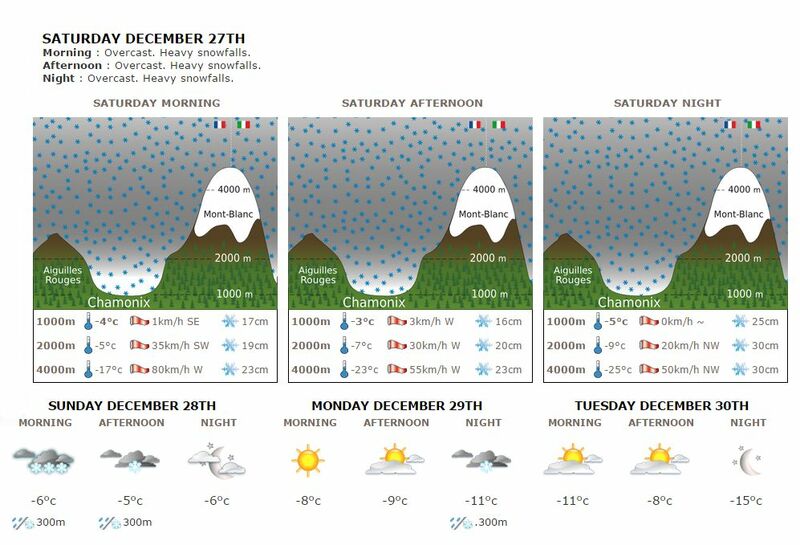 Snow Forecast in Chamonix for this weekend! Merry Christmas! We hope you had a lovely day filled with fun and surprises! It wasn’t quite the white Christmas that we’re used to out here, but that looks set to change very soon with quite heavy snowfall forecast for this weekend – bring it on! 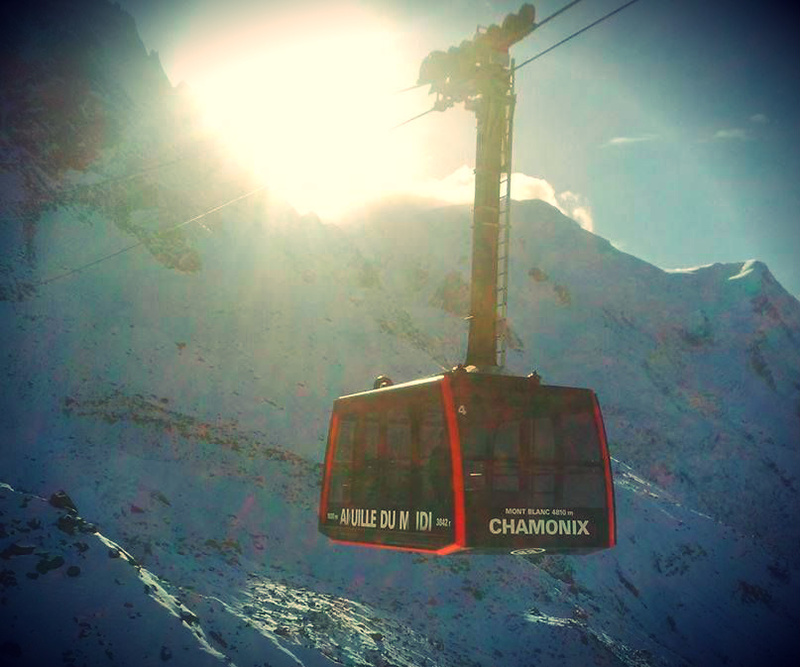 So Christmas may be over for another year but there’s still plenty going on in Chamonix. The biggest night of the year is just around the corner and there’s so many parties to choose from that it’s just as well most places will be taking advantage of the all-night license that is granted every New Year’s Eve. 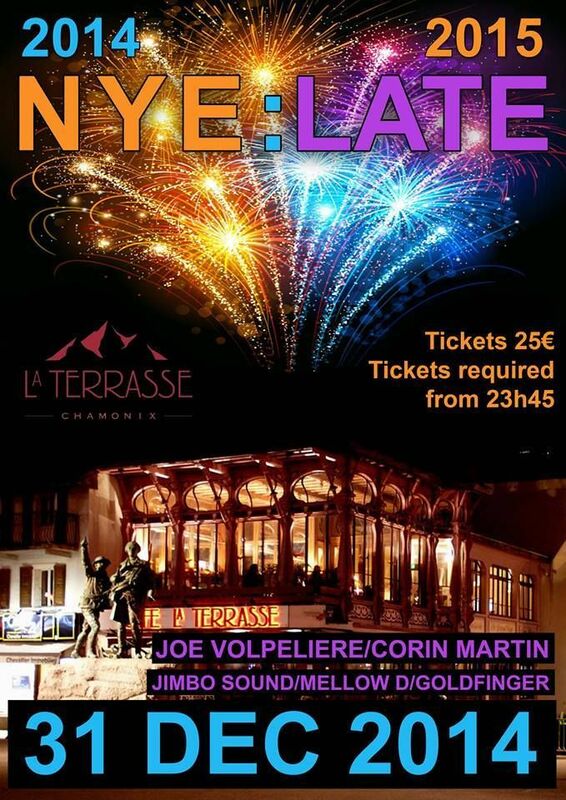 The biggest party will be at La Terrasse, right in the centre of town. With 5 DJs playing across 2 floors it looks set to be a great night; funky party vibes downstairs, house and techno upstairs – tickets cost 25€ each and can be bought in advance at La Terrasse. If something a bit more chilled is more your style then why not check out the chic new lounge bar at Hotel Heliopic where Erik, Mollie & Thibaud will be playing laid-back jazz and blues classics. They have a great cocktail menu and big cosy armchairs to nestle back into, not to mention the absolute forest of Christmas trees that they have decked the place out with – it’s like Narnia in there! There’ll be plenty going on in all the bars and restaurants so if you don’t want to tie yourself to just one event then take a stroll round town and soak up the atmosphere. Rue du Moulin always has a good carnival vibe going on, with people milling in and out of all the hip bars on the tiny old backstreet. 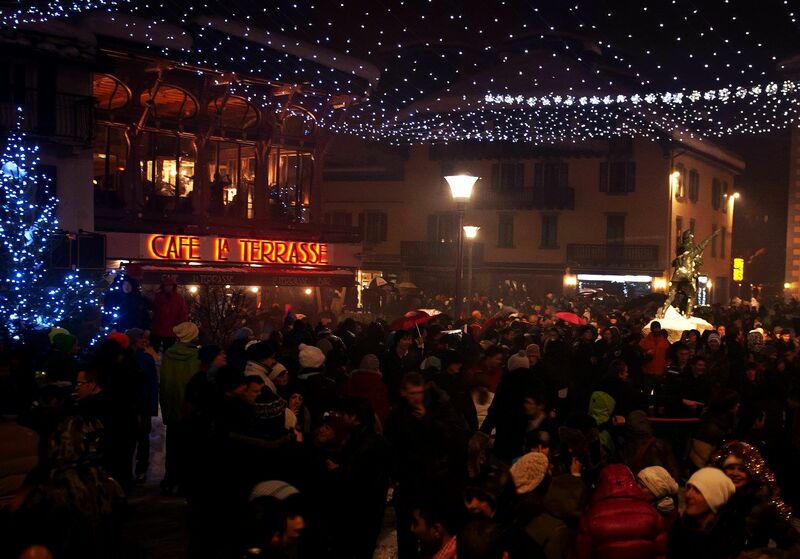 There is a little Chamonix tradition of gathering at the clock tower just before midnight to count in the New Year, it’s crowded and chaotic but lots of fun. If you’ve got children then put them on your shoulders so that they can get a good view of the firework display that follows the countdown. Many restaurants are offering a special New Year’s Eve menu with such decadent treats as champagne, scallops and truffles. Booking is highly recommended if you want to be sure of a table, have a look at our restaurants guide to see which ones are our favourites. 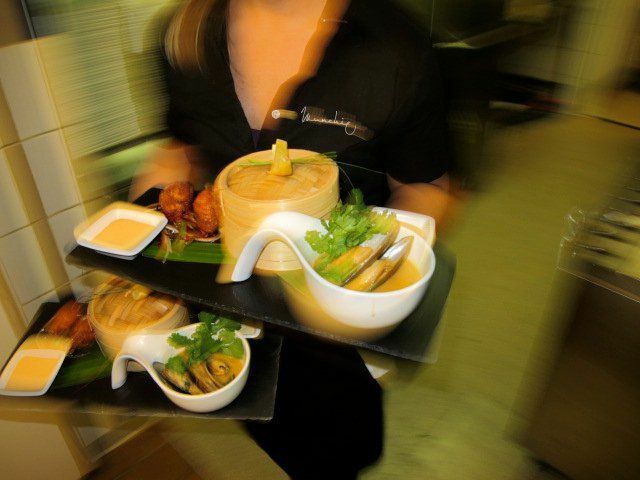 Don’t forget that if you want to enjoy a delicious feast at home without the hassle of shopping, cooking and cleaning we can organise private catering for you – anything from a full dinner party to dropping off some freshly cooked heat-and-serve meals prepared by one of our talented chefs. Visit our website for all the various catering options and prices. 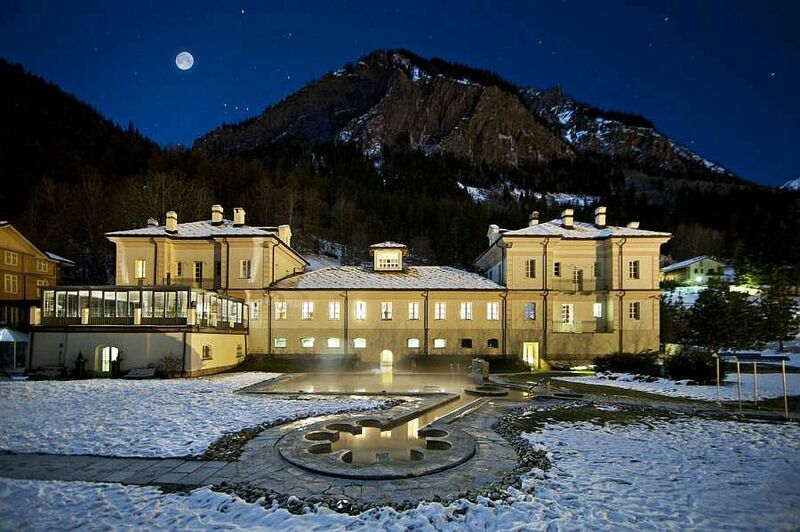 If you need a bit of downtime to recover from all the partying then you can’t beat a trip to the spa at Pré Saint Didier over in Italy. Housed in a beautiful old villa, it’s a labyrinth of treatment rooms and relaxation suites with every hot, cold, soothing, exfoliating, invigorating, relaxing sensation you can imagine. We’ve been a few times and still keep discovering new rooms every time we go back! Our partner company, Haute Transfer, run regular bus trips there and back from just 44€ per person – read more about Pré Saint Didier and other nearby spas here. So, what will 2015 bring for you? Do you have any unfulfilled ambitions that you want to achieve in the New Year? How about skiing the world-famous Vallée Blanche with a mountain guide? Or ice climbing on frozen waterfalls? Flying over the peaks perhaps and getting a bird’s eye view of Mont Blanc with a parapente flight or helicopter ride? You can do all these things right here in Chamonix, as well as plenty more besides. Have a look at our winter activities page to find out more about all the fantastic experiences you can have and don’t hesitate to contact us if you have any questions. In the meantime, we wish you a very happy New Year and all the best for 2015! The snow dances have paid off, prayers have been answered and bizarre weather rituals have been rewarded – it’s snowed!!! Just as the Compagnie du Mont Blanc was surely starting to get a bit twitchy about this weekend’s scheduled lift openings, the clouds thickened and the skies whitened. Granted, it’s been a bit wet down in the valley but the mountains are now covered with a lovely blanket of crisp fresh snow – just in time! Have a quick peek at the webcams to see what conditions are like right now. Lift openings have been confirmed for tomorrow, but with some open for pedestrians only. 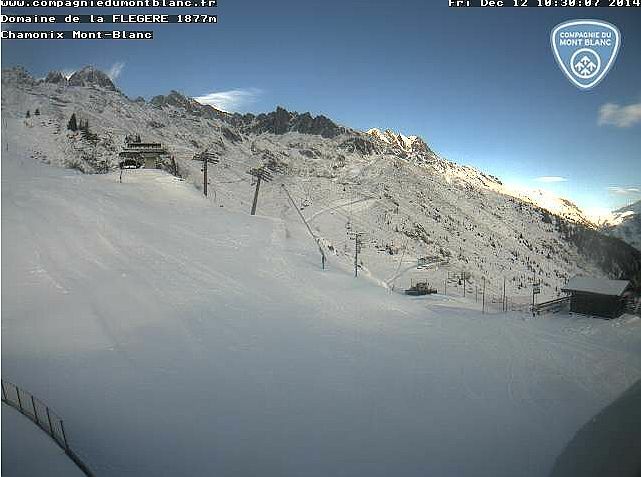 Les Grands Montets and Flegere will definitely be open to skiers and snowboarders – see here for details of where to go. It’s starting to feel a lot more like winter now and to get right into the festive mood we’ll be popping along to the Chambelles Christmas Concert tonight. The lovely ladies will be leading us in song at La Lucarne (next to the ice rink) for an evening of dinner and drinks, carols and cheer. Dinner is served from 7pm with a 2 course set menu for just 12€, or you can choose “à la carte” – visit the Chambelles website for more details on menu and reservations. The concert is due to start at 8:30pm, followed by (and most likely preceded by) drinks and merriment. The concert part of the evening is free, but donations on the door are very welcome and will be given to Community Action Nepal. 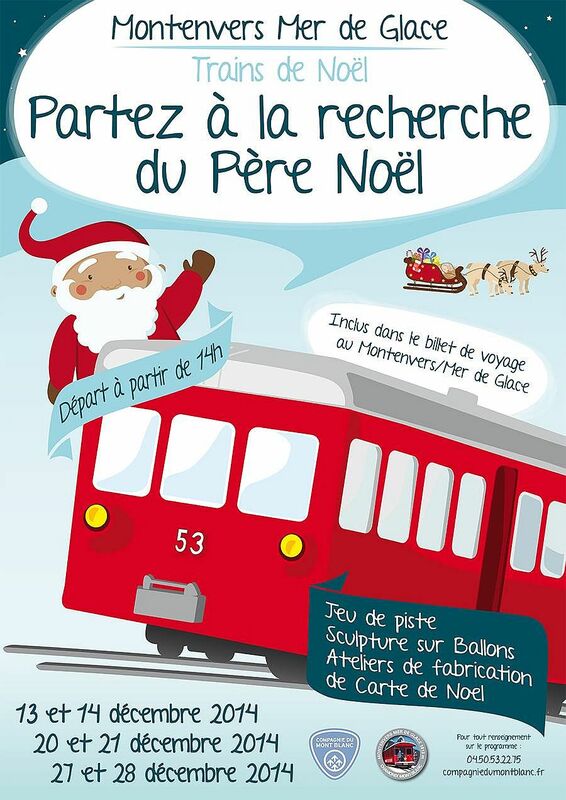 Also coming up this week is the Christmas Market, also at La Lucarne, on Saturday and Sunday. Local artisans and traders will have lots of goodies to tempt you with, perfect for last-minute Christmas shopping (or just for treating yourself…). The big man himself will be in town on Tuesday, just to check we’ve all been good before he does the rounds on Christmas Eve. 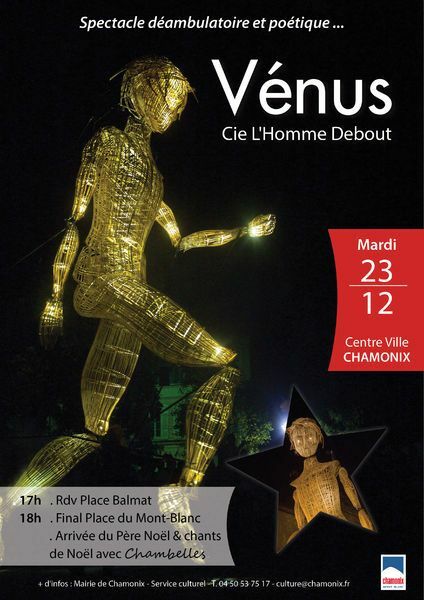 The arrival will begin with something a bit different – a giant mechanical figure striding the streets and leading a parade from Place Balmat (by the post office) to Place Mont Blanc (by the Galerie Alpina). There will be entertainment from 5pm to 6pm, culminating in the arrival of Father Christmas! 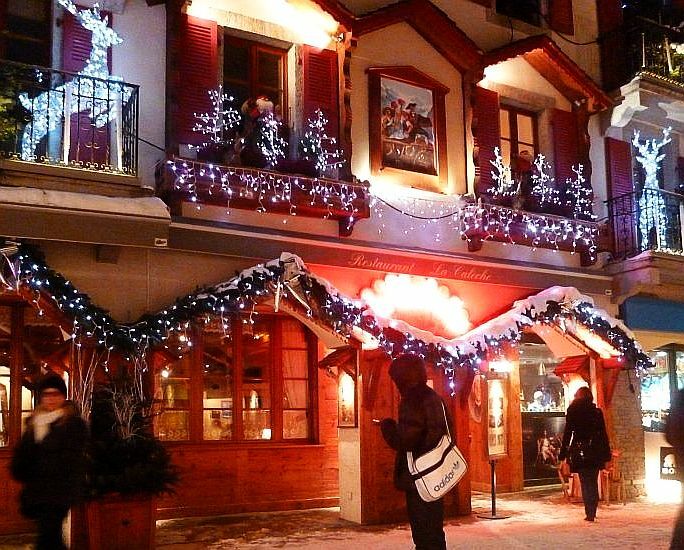 Remember, if you’re visiting Chamonix for Christmas or New Year there is plenty to do to make your holiday special. 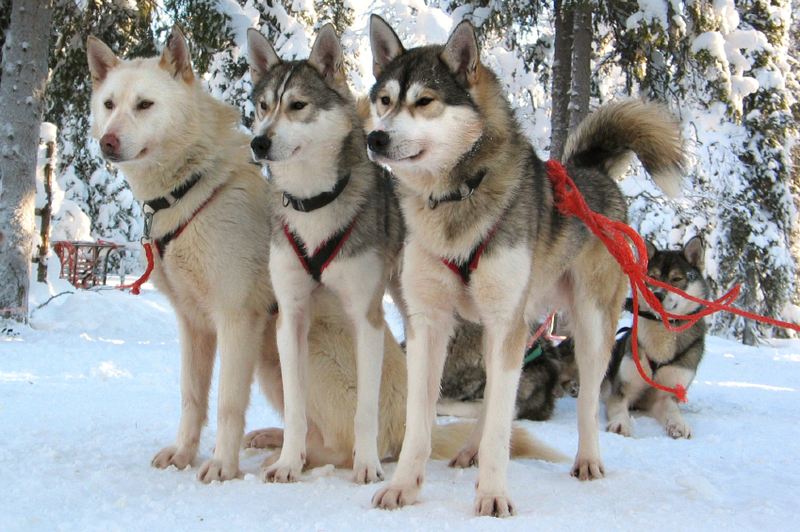 From ice climbing, to paragliding, to husky dog sledding – just drop us a line or visit our website to find out more. It’s also one of our busiest times of year though, so don’t hang about! Apparently patience is a virtue. 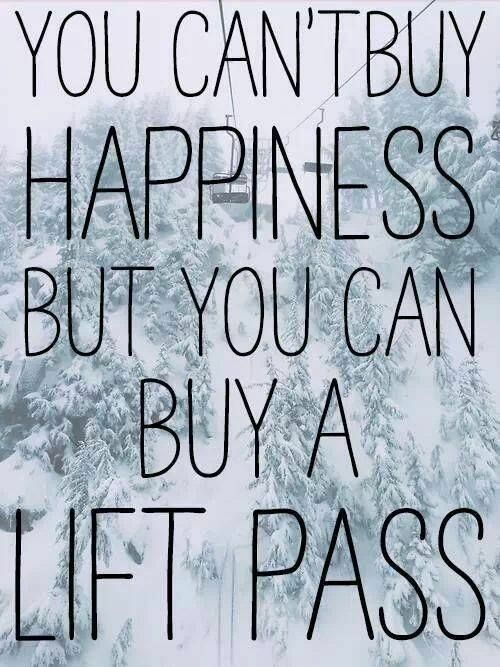 If that’s true then our stockings will be chock-full of goodies from Santa this year after all the patience we’ve shown waiting for the ski season to open. Hopes were high earlier this week after some fresh snowfall and temperatures have definitely dropped but, alas, there’ll be no lifts open this weekend. You can keep an eye on upcoming weather forecasts on our new Snow & Weather page, as well as checking lift openings and webcams for the latest real-time information. So, the snow may not be here yet but Santa is! He’s set up his Christmas workshop beside the Mer de Glace and you can find him there every weekend from 2pm to 4pm in the run-up to Christmas. Entry to his workshop is included in your Montenvers train ticket. 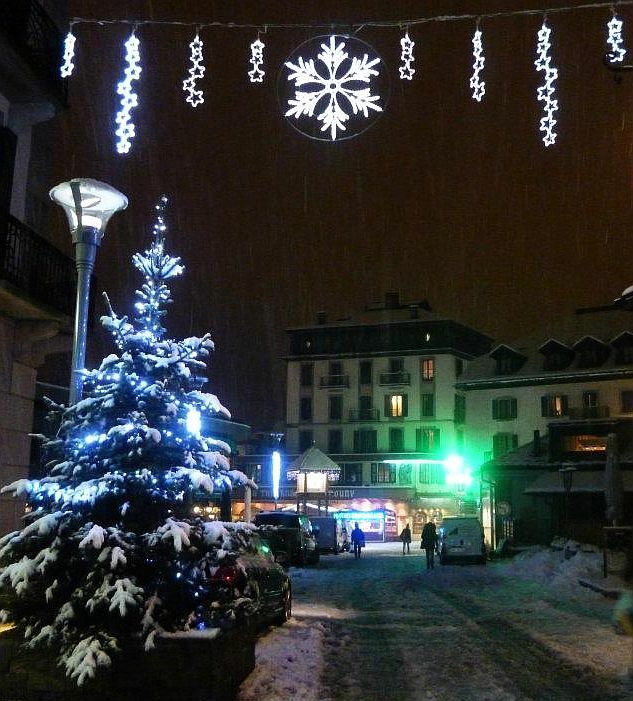 Chamonix is getting very festive this weekend; the Christmas lights go on this evening at 5pm in the centre of town. There’ll be carolling and hot drinks to warm your cockles, as well as entertainment for the children. Tomorrow evening the Chamonix ice skating club are putting on a free display at the ice rink, just turn up at 6:30pm and enjoy the show. You’ll also find Santa in Servoz this Sunday (don’t know how he’s finding time to make all those toys) at the annual Christmas Fair. There will be Christmas trees on sale, mulled wine, cakes, various stands and the all important visit from Santa himself at 15.30pm. Excellent prizes will up for grabs in the raffle, tickets are 2€ each or 6 for 10€ and all proceeds are in aid of the local school. 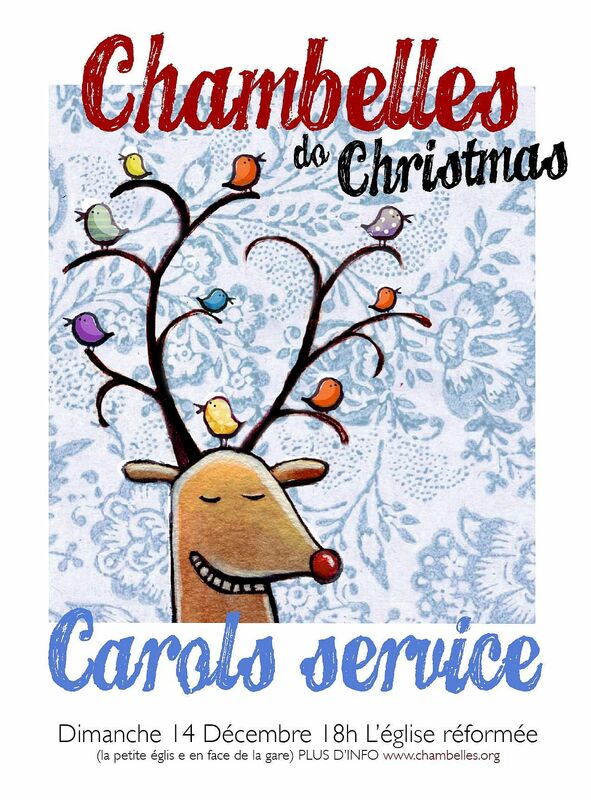 To round off the weekend the lovely Chambelles ladies choir will be holding a carol concert at the Protestant church near to the train station on Sunday evening. Entry is free with donations being welcomed for Restos du Coeur, an excellent charity that provides food for those who can’t afford it. Starting from 6pm with mulled wine afterwards, everyone’s welcome to come and join in – get there early if you want a seat, Chambelles concerts are always packed out! 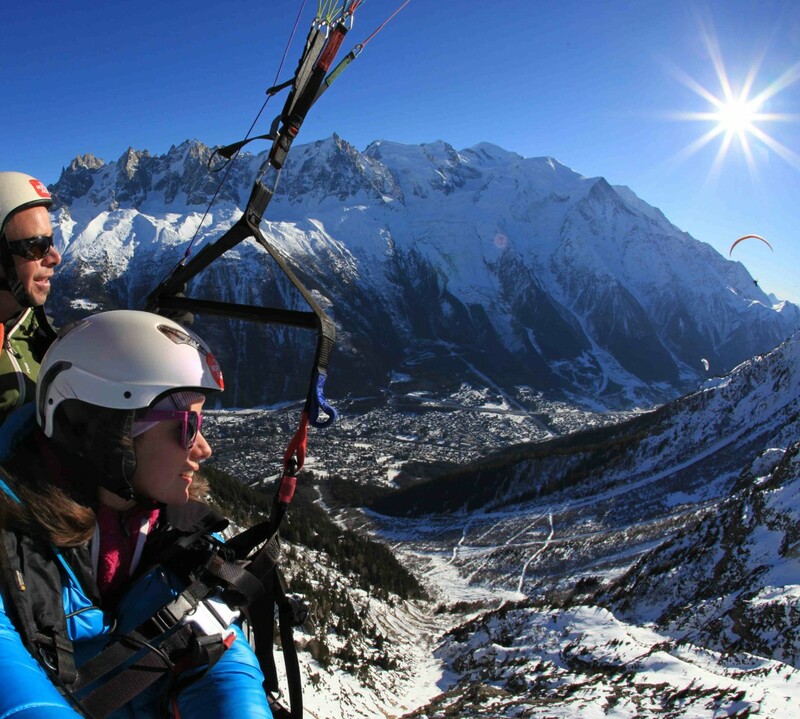 If you’re coming to Chamonix for the festive season then make it extra special with one of our fantastic family activities – fly over the snowy peaks on a parapente, drive your own team of huskies, or sledge down the slopes after dark on a paret ride. All great fun but don’t leave it too long as they’re booking up fast! Take a look at our Winter Activities page or contact us for more information. So, no surprises here but it has been announced that all of the lifts will be opening next weekend (13th December). It had been hoped that Les Grands Montets and Les Houches would open tomorrow but until we get some more of the fluffy white stuff we’re going to have to wait it out. The new Aiguille du Midi cable car and Les Grands Montets gondola are all primed and ready to leap into action as soon as the weather changes. Snow is forecast for tonight and tomorrow though, so keep those fingers (and toes, and whatever else you’ve got) crossed that it keeps on coming. 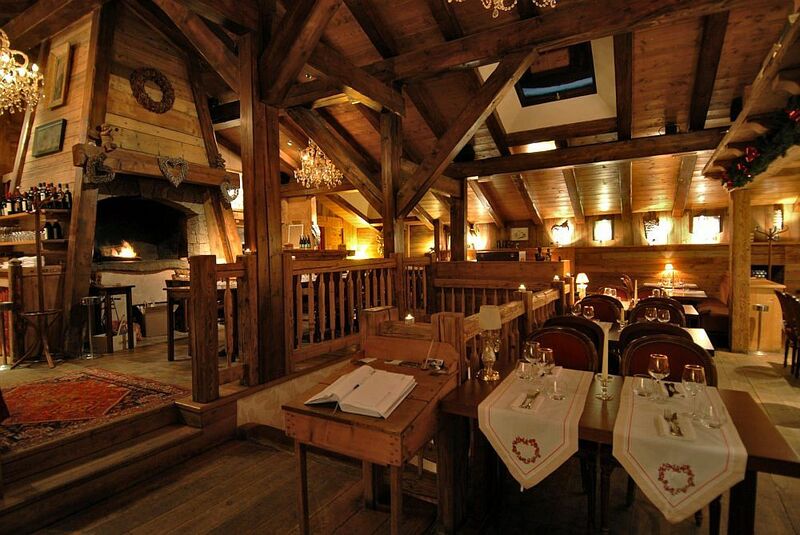 The ski season might not be in full swing yet but the apres-ski season is well underway! 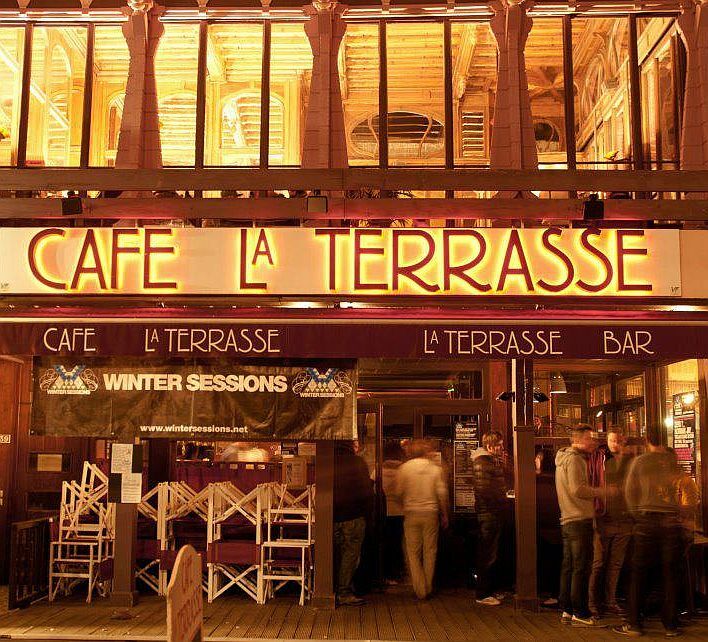 La Terrasse flings its doors open tonight after a refurb, under new management and with a new team behind the bar. Get there early for Happy Hour deals from 4pm until 7pm, then specials all night on shots and Jager Bombs. Live music with The Elements from 10pm and Desperado on tap – it’s probably a blessing in disguise that the lifts aren’t opening tomorrow, to be honest. One of our favourite restaurants reopens tonight. L’Impossible is something a bit out of the ordinary – organic, local, seasonal produce beautifully prepared with a strong emphasis on healthy eating. You’ll find lots of vegetarian, vegan and gluten-free options (although there is plenty to satisfy meat-lovers as well). Run by a family of effusively warm and friendly Italians, the food is delicious and the wine list is excellent – we’ve had many a fine night there. Anyone suffering withdrawal from tempura squid and duck teriyaki will be relieved to hear that Munchies reopens again tonight, with all the usual favourites on the menu as well as some new additions with ingredients that sound so exotic that it’s always a bit of a mystery what you’re actually ordering – nasu dengaku anyone? Whatever you get, it’s always good. There are a few changes in the air this winter, our little birds tell us that what was the Mix Bar on the Rue des Moulins will be transformed into a sushi restaurant and cocktail bar. They reopen next week on Friday 12th December with a new name (classified information so far) and a brand new look – will it be as good as Satsuki? There’s only one way to find out… pass the chopsticks please! The tiny pizzeria on Rue des Moulins only opened last year and quickly gained a loyal following for their deliciously thin and crispy freshly-baked pizzas. Given that the restaurant was smaller than your average ski locker, they’ve expanded this season to provide seating for up to 30 hungry gannets. No word on if they’re licensed yet but they were always happy for you to BYO. There are also mutterings of the old No Escape bar being turned into a swanky new restaurant, along the lines of l’Atmosphere – watch this space for further details. Despite the lack of snow the Nordic Monster Test is still planning to go ahead as scheduled tomorrow at the Foyer de Fond opposite the MBC. 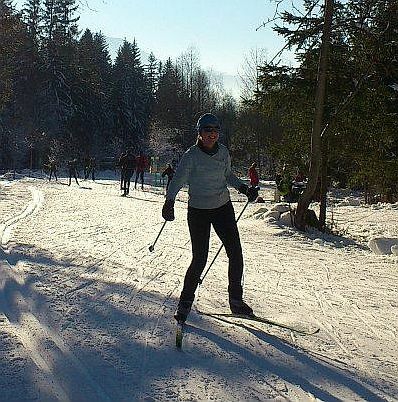 This is your chance to borrow some top-of-the-range kit and have a go at cross-country skiing with the guys from Ravanel Sports. Even if the tracks aren’t going to be up to scratch there is always a fun atmosphere with mulled wine, cakes and cool stuff to be won! Pop along if you’re interested in signing up for lessons this winter or in joining the ski de fond club, they’re a very friendly bunch. We’ll let you know as soon as we have any more information on snow conditions or ski area openings – keep an eye on our Facebook page for the latest updates.